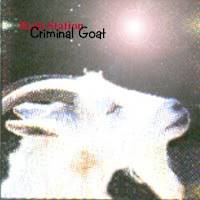 Well...the Criminal Goat posts are coming to an end with this FREE MP3 download. And since we've come to an end I thought that I would once again post the story of Criminal Goat and Rain Station. As many of you know Jay and I are working on the next Rain Station "experience" and we're creating music using the "Criminal Goat" method of recording. There are two versions of the "Criminal Goat" story (which is the Rain Station story) floating around. I'll post both and maybe Jay and I can decide which one is accurate. I know at some point we wrote both of these accounts...maybe it is supposed to be a mystery. Maybe they are both correct. In the summer of 1992, Hoagie Malone began coaxing musicians for his recording project "Equator". These sessions produced 33 tracks. Originally released as "Khaki Circus" by Equator, Hoagie felt that the recordings between he and mopehead were going particularly well, so when mixing time came, the 33 tracks became two separate releases. Rain Station was born with the release "Criminal Goat" and Hoagie released the rest as "Equator". 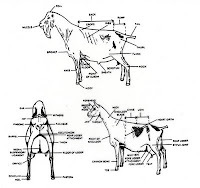 "Criminal Goat" was recorded over the summer of '93 at two locations in San Francisco on an old Tascam 4-track.The formula consisted of Hoagie Malone recording beats with two different drum sets, mopehead would then record guitars and/or bass, then guest musicians would come in to record (guitar, bass,keys), and finally Hoagie Malone would write lyrics and do the finishing touches before mopehead and Hoagie would do the final mixes. 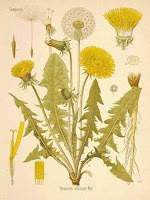 OK...now that you've been reacquainted, here is a FREE MP3 download of "Dandylions" (click here to download) (link disabled)taken from Rain Station's Criminal Goat CD. Jay made a Flash video of the song (here). Again, Jay on drums and vocals, me on bass and guitar. This rivals "Summer Home" for my favorite track on the CD. This is vintage Rain Station and a great way to finish off the "Criminal Goat" blog entries. I hope you have been enjoying the FREE tracks. All I ask is that you please drop me a comment. All of Rain Station's CDs are available for purchase at NobodyRecords.com. Be sure and support our art and independent music by purchasing CDs from us.